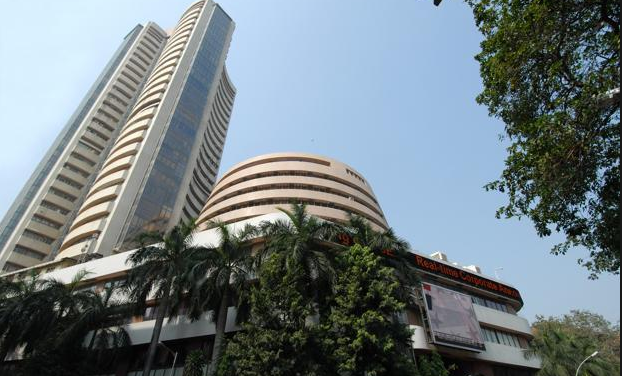 Local bourses recuperated in the wake of succumbing to two straight sessions in early exchange on Friday as the benchmark Sensex recouped more than 150 focuses driven by a new round of purchasing in front of the no-certainty banter in Lok Sabha on Friday. Moreover, constant purchasing by household institutional financial specialists (DIIs) too impacted estimation. The 30-share record, which had lost 168.73 focuses in the past two sessions, was exchanging higher by 158.11 focuses, or 0.43%, at 36,509.34. Sectoral files drove by IT, Teck, capital merchandise, auto and keeping money stocks helped the recuperation, ascending by up to 1.31%. The 50-share NSE Nifty recovered the 11,000 stamp, citing higher by 43.45 focuses, or 0.39%, at 11,000.55. Real gainers in the Sensex pack were ICICI Bank, Infosys, Adani Ports, RIL, L&T, Axis Bank, Tata Steel, Wipro, SBI, TCS, Hero MotoCorp, SunPharma, Maruti Suzuki and ITC, ascending to 2.30%. In the meantime, DIIs purchased shares worth a net of ₹470.02 crore on Thursday, while remote portfolio speculators (FPIs) sold offers to the tune of ₹315.69 crore, according to stock trades' information. Agents stated, desires for the Modi government winning the principal no-certainty movement it's looking in four years in the Lok Sabha supported the financial specialist assumption. Be that as it may, a powerless pattern in other Asian markets after China enabled its yuan money to slide further, constrained financial specialists on the local bourses to embrace a careful approach, they included. Then, after yuan's fall, the rupee dove to record low of 69.12 (intra-day) against the dollar at the forex advertise on Friday. Somewhere else in Asia, Shanghai Composite Index shed 0.12%, while Hong Kong's Hang Seng was down 0.60%. Japan's Nikkei excessively fell 0.71%. The US Dow Jones Industrial Average finished 0.53% down on Thursday.